The doubling of the Hallen Marsh Junction to Filton freight line near Bristol in the early 1990s had one serious problem; the bridge over the M5 motorway was only single track. Consequently a new span was positioned alongside the existing bridge to take the second track. 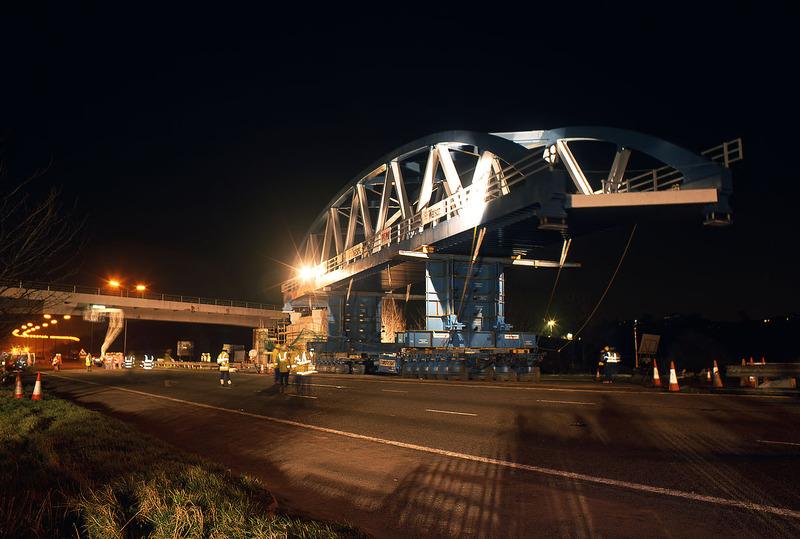 On the night of 12 February 1994, the new 360 tonne span (which had been parked on the side of the motorway for some time) was slowly moved into position. In this view the new bridge has been moved along the closed motorway and is just starting to be slewed across to meet up with the existing bridge, which can be seen in the background.